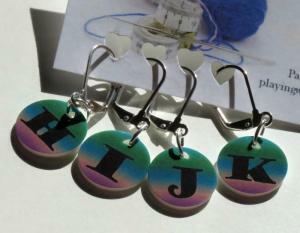 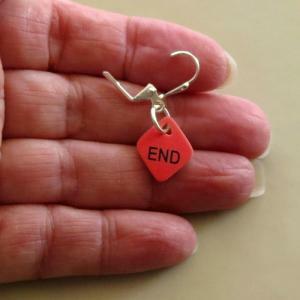 After months of experimenting & testing, I'm launching a new product line of stitch markers for crocheters. 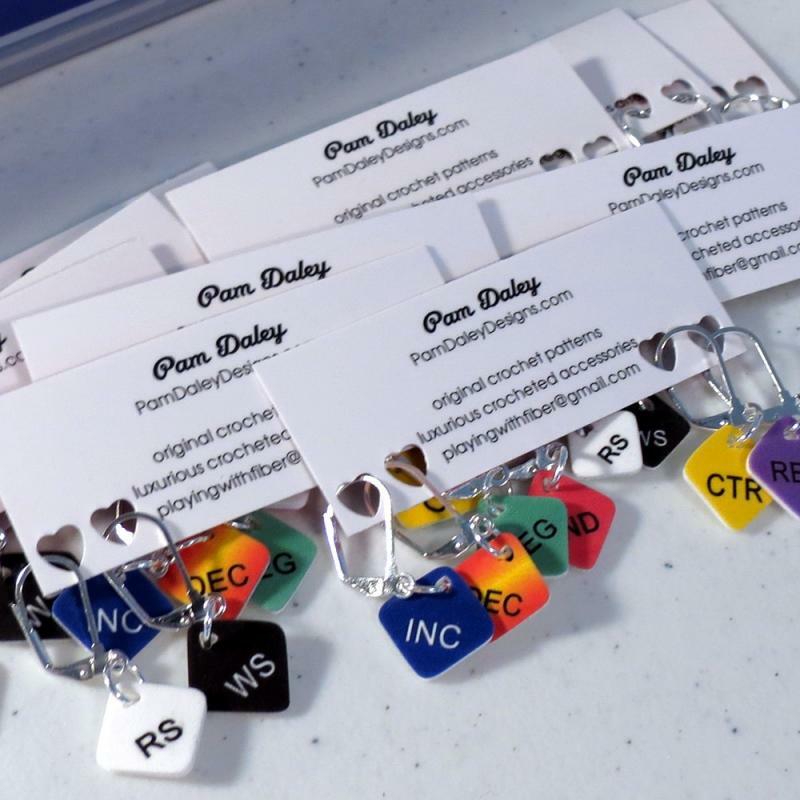 These are easily opened and closed - much easier than the typical lobster claw clasp you see on most markers for crocheters. 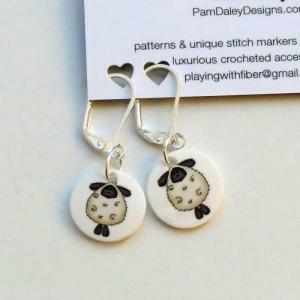 The fun thing about these markers is that they can also be worn as earrings - really! 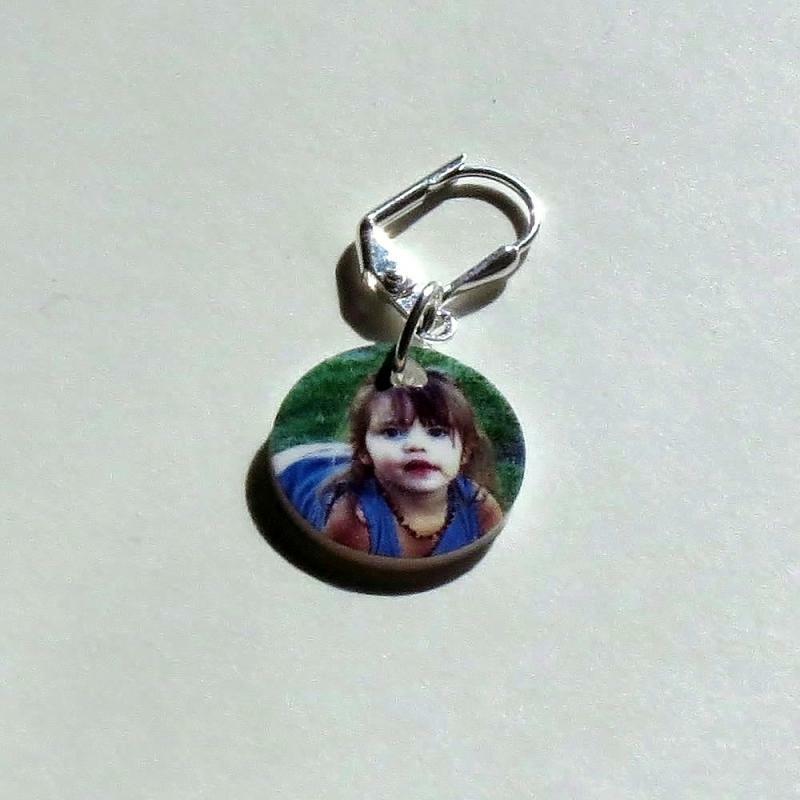 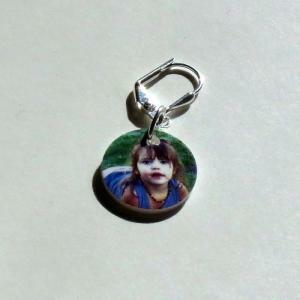 You can order pre-made markers or have your own custom photo markers made. 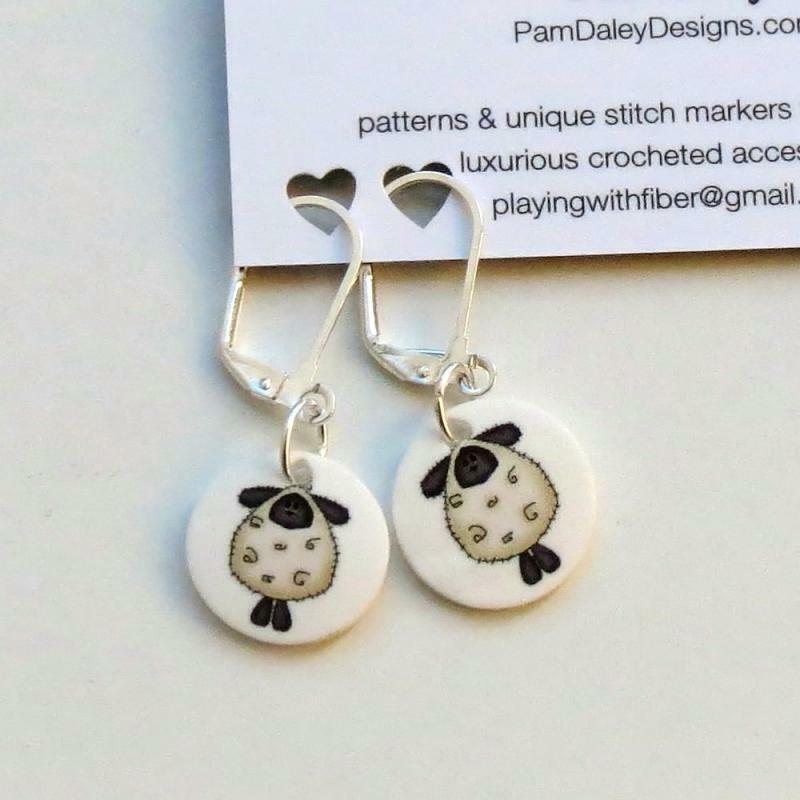 Below are some examples - you can see lots more in my shop on Etsy - https://www.etsy.com/shop/PlayingWithFiber?section_id=11555014. 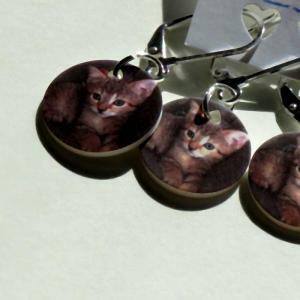 For a limited time you can use the coupon code "STITCHMARKERFRENZY" for 25% off any stitch marker order.